There’s a saying in football: “Offense sells tickets, but defense wins championships.” The quote (often attributed to Bear Bryant) is so prevalent in football that it is on Wikipedia’s List of Sports Clichés. The maxim is usually attributed to football, but it can be applied to most sports. In basketball, dunks and J-shooting is what we want to see when we go to a game, but a solid defensive scheme and execution plays a huge part in wins and losses. In hockey, we all enjoy when the puck goes in the net and makes an alarm go off for some reason, but solid goalies can ultimately decide the game. In water polo, I actually have no idea how water polo works. The idea here isn’t that offense isn’t important. Many teams in many sports can win games on offense alone (*cough* *cough* 2012 Tech football). The thought instead is that defense plays a huge, unsexy, largely unnoticed part of a teams’ success. And the 2018 Louisiana Tech baseball team is no exception. This isn’t just good; this is phenomenal. Out of the 298 Division 1 baseball programs, there is only one team that ranks higher in ERA, WHIP, and K/BB. For Strikeouts per Walk, that team that led was Ole Miss. In ERA and WHIP, it was the Stetson University Hatters (I promise I’m not making the nickname up). And while the Hatters had a Massey SOS ranking of 202, Tech had a Massey SOS ranking of 123. While ERA is a pretty universally hated stat in baseball analytics circles when it comes to individual pitcher performances, but at the team level, it can give a pretty good view of how well a pitching staff is performing. And it’s worth mentioning that last year 11 of the top 13 schools in ERA last year got into the tournament. The two that didn’t: Illinois-Chicago and ULL. So while it’s not a perfect stat, ERA seems to at least give a good general idea of how good a pitching staff is. WHIP is a measure of how many base-runners (walks + hits) a pitcher allows on base. A WHIP of 1.01 means that Tech only lets one runner on base per inning. So not only does Tech not allow the opposition to score, the Bulldogs don’t even let the other team on base. I would argue this is one of the main reasons for the large difference in runners left on base (LOB) between Tech and their opponents. If other teams can’t get their players on base, they can’t leave them there. I included the Fielding % to show while Tech’s fielding hasn’t been bad, it hasn’t been anywhere near the level of the pitching staff. So, maybe a title of “Pitching Wins Championships” would have been better for this. Oh well. After going on a 10-1 run since the Frisco Baseball Classic, Tech had been firing on all cylinders. The only defeat in that stretch was a 12-inning road loss to UALR (the only team since Frisco that Tech has played with an RPI of above-75). But Tech struggled at UAB: dropping the first game, barely escaping the second game with a W, and winning the third in extra innings. It’s an away series. It’s hard to sweep at home. It’s even harder on the road. Tech’s offense. The team scored less than 5 runs only twice since Frisco. Tech scored 0 Friday, and only had 3 Sunday before extras. The Curse of Birmingham. A totally real, not made up thing that explains why Tech struggles playing UAB. So while it wasn’t a horrible weekend for Tech pitching, but it wasn’t great. The ERA for the weekend was 3.10. That’s not bad enough to panic over, but it’s not up to the standards we’ve expected from the past few weeks. Tech’s pitching has been superb the past few weeks. This past weekend wasn’t a great one, but if the Tech pitching staff is able to find their groove back, Tech will be in great position to get into the NCAA Regionals for the second time in three years. 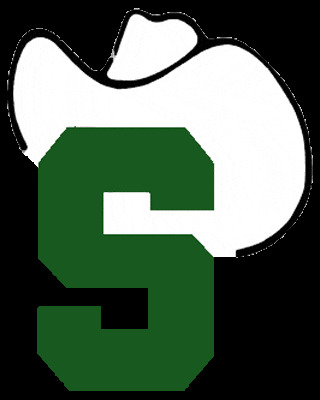 Also, the Stetson University Hatters logo is just the old Michigan State logo wearing a hat. If there’s any lesson to learn here, it that’s this is a thing. Next Why Texas Tech is the Best Tech.